Preliminary Announcement – ABB Robotic MIG Welding Cell Featuring Fronius Welding Set Available NOW! 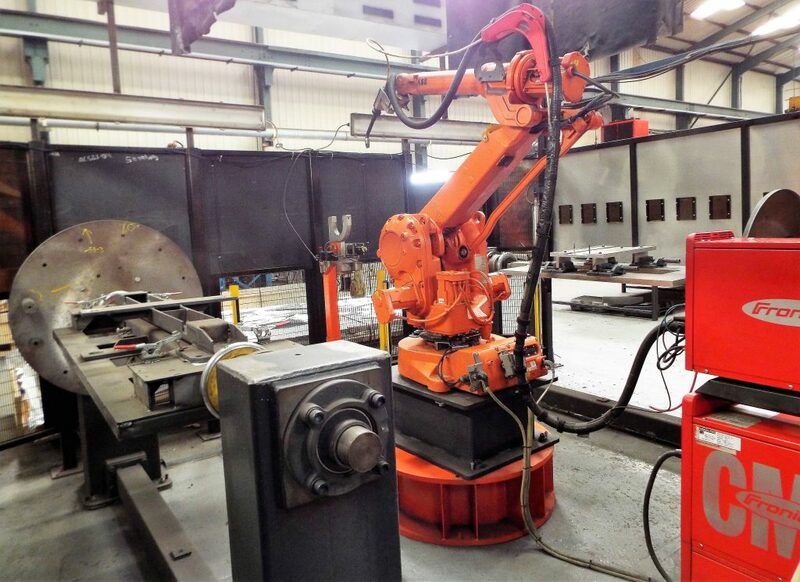 Used ABB Robotic MIG Welding Cell with Fronius Welding Set Available For Sale NOW! Update 25 March – now is the time to make an offer for this cell, we are talking to interested parties right now, so come forward quickly with any interest! 2 x ABB MTC500 Work Positioners – tooling will be removed at point of sale and is not part of sale. Floor Dimensions – 4610mm Wide x 3130 High x 4790mm Deep. This is a preliminary announcement of our client’s intention to dispose of this used / second hand cell. In the event that a sale is not completed by private treaty, the cell will go into an online auction and a buyer’s premium will be charged, typically 15% – 20%, in addition to hammer price. This is an opportunity for you to acquire this asset without having to pay buyer’s premium, but you need to move quickly! Our client would prefer to dispose of the cell as a whole, however reserves the right to sell individual items – offers are therefore invited. Click this link to go to the online brochure. Then call or email us!